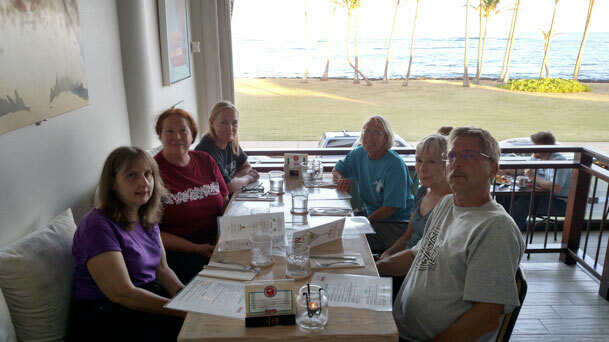 This travel archaeology class focused upon relationships between Oahu, Kauai, and the Big Island. Building upon the class information from 2017, participants explored the prehistoric and early historic connections between these separate islands. 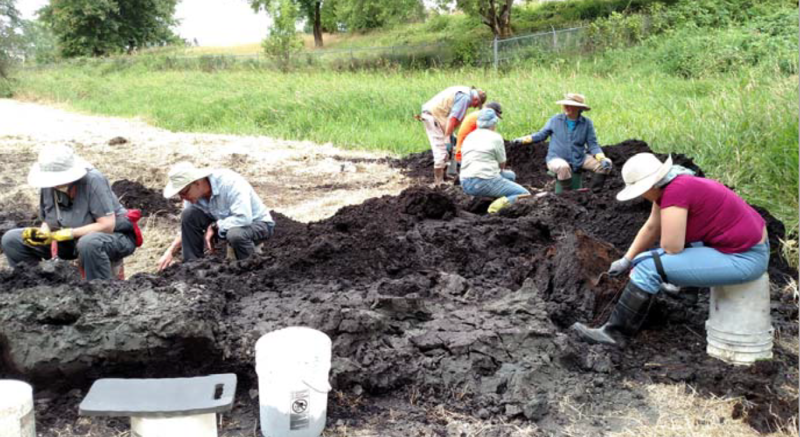 As sites were viewed, discussions focused upon the archaeological evidence of change over time. 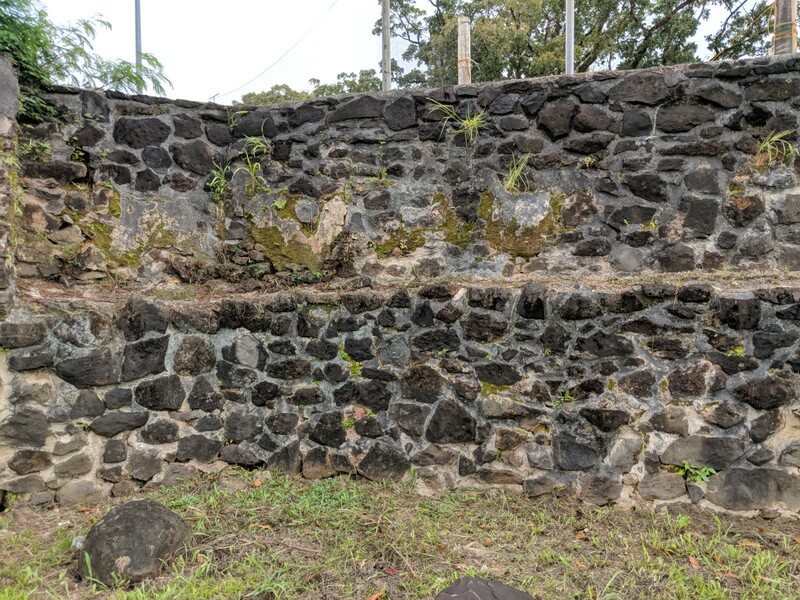 This included the period toward the end of people’s adherence to the Hawaiian religion, the time of change immediately after, the difficult relationships between King Kamehameha and other rulers, and especially Kauai’s King Kaumuali’i. Discussions about political allegiances and trade with foreigners, at the interisland and international levels, figured prominently. 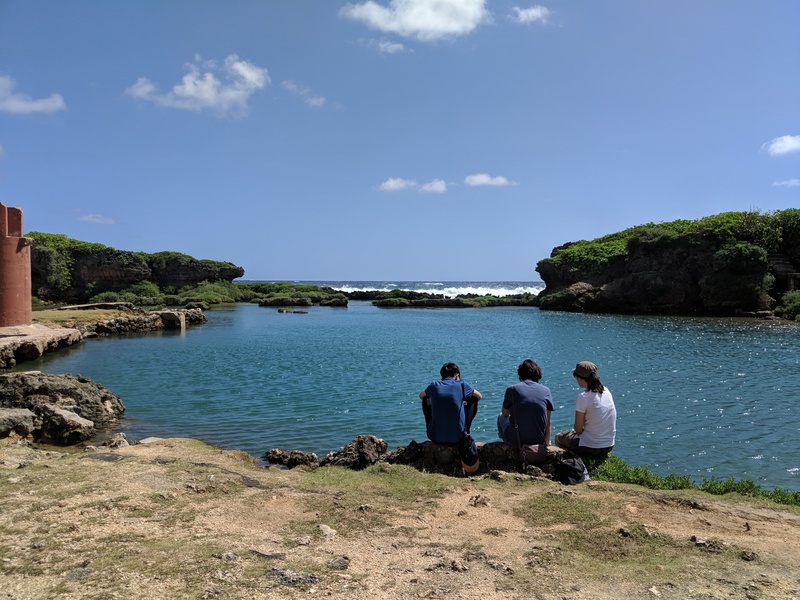 The importance of the northernmost and southernmost islands were highlighted, with in depth discussions of Captain Cook, Captain Vancouver, and the Russian connection to Hawaii upon the deaths of Cook and his next in command, Clerke. 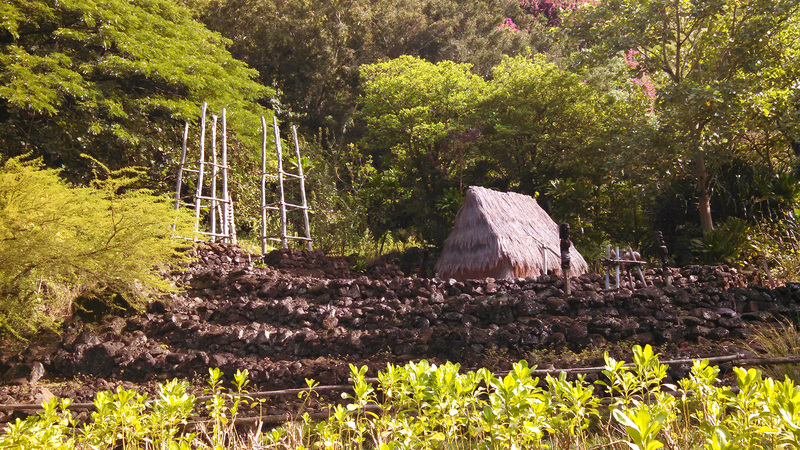 Pu’u o Mahuka is the largest heiau on Oahu, covering nearly two acres. Additional walls actually extend beyond this photo. This site name translates to “hill of escape”. However, the remains of several sailors from Captain Vancouver’s ship were sacrificed here. 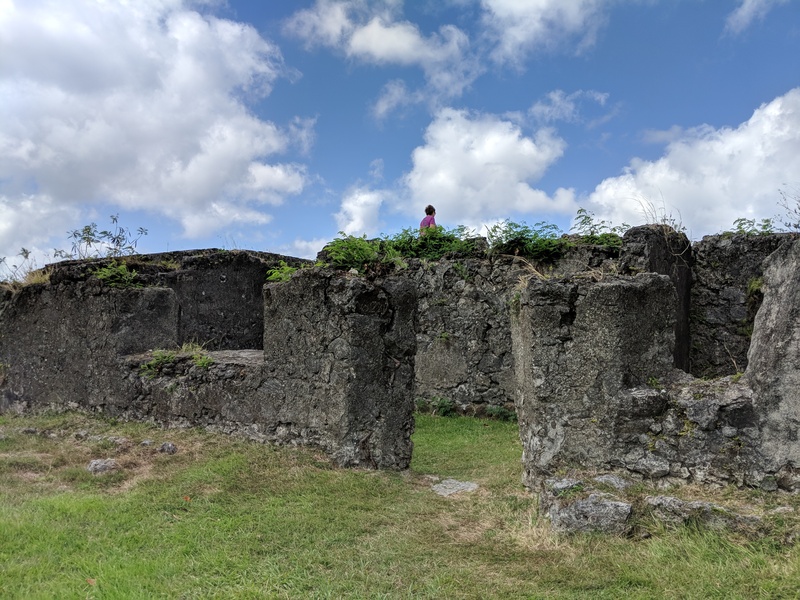 Importantly, King Kamehameha was said to have attempted to communicate with Kauai from here, in an attempt to unify the Islands, after several failed physical attempts. 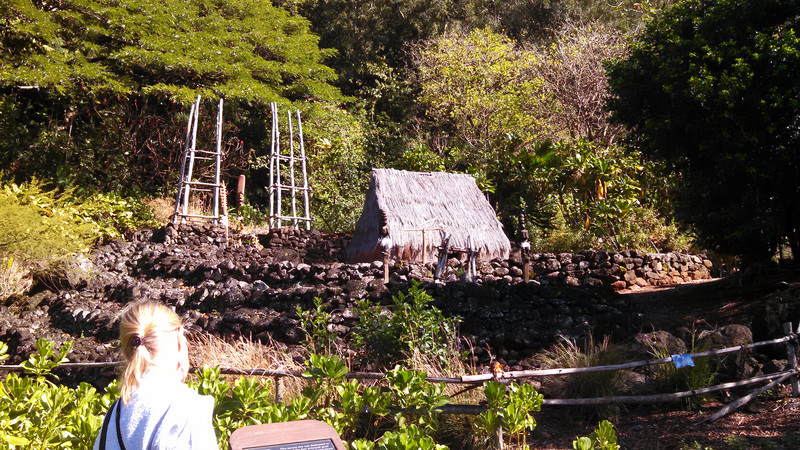 While on Oahu, the group also visited Hale o Lono, the surviving heiau dedicated to Lono, the God of agriculture. It is an exceptional area, with a prehistoric and protohistoric village on the grounds that is now being restored. 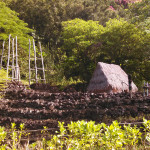 The heiau of the God, Lono, is what the people of Kauai thought Cook’s vessel was when it first arrived at that northern island. 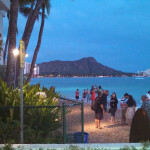 Participants then transferred to Hawaii Island, also known as the Big Island. This is the area where, in 2017, this same group documented rock art at the shoreline. 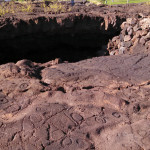 (Please refer back to that page to see some of the amazing examples of Big Island petroglyphs, game boards, and other features.) 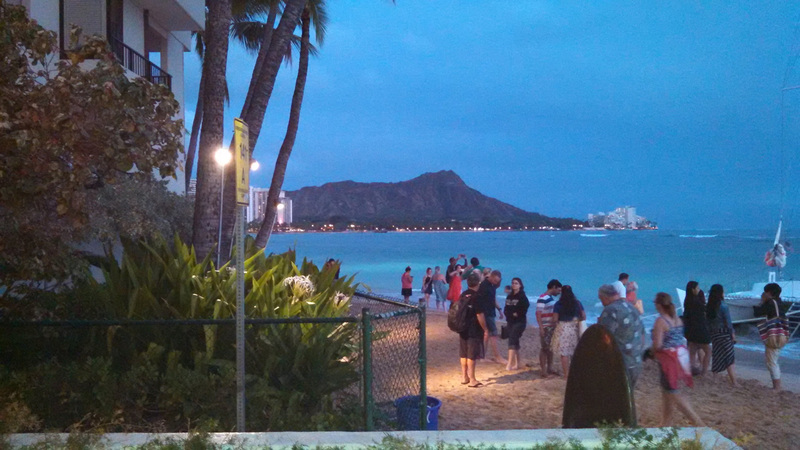 That 2017 class also included travel to Kauai. Those trips provided a good background to the historical information shared in this 2018 class. 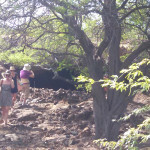 On the Big Island, participants visited a rock shelter. 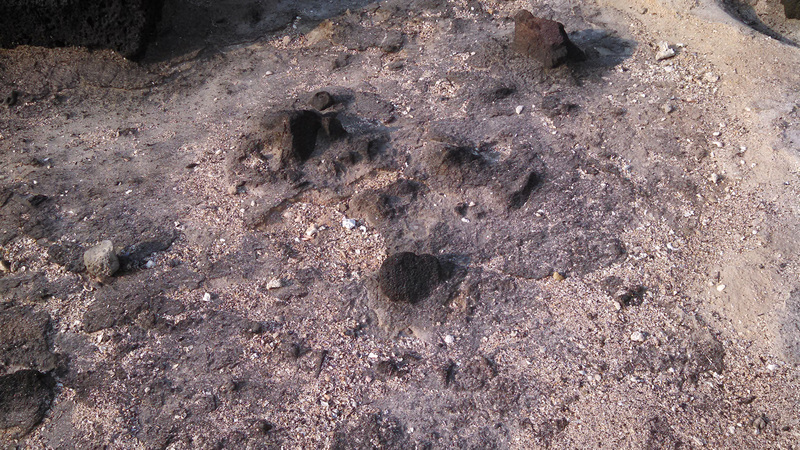 Section of the King’s Trail that is part of a petroglyph field. 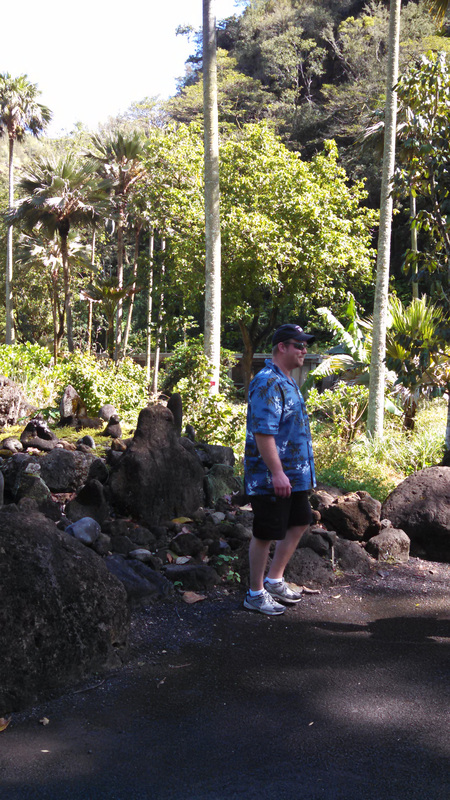 All felt honored to be walking where ancient Hawaiian feet tread hundreds of years ago. 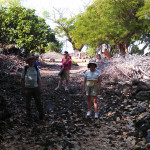 An ancient village, with multiple components, was also inspected. 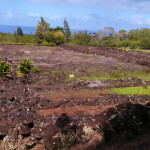 This was the site of Lapakahi. 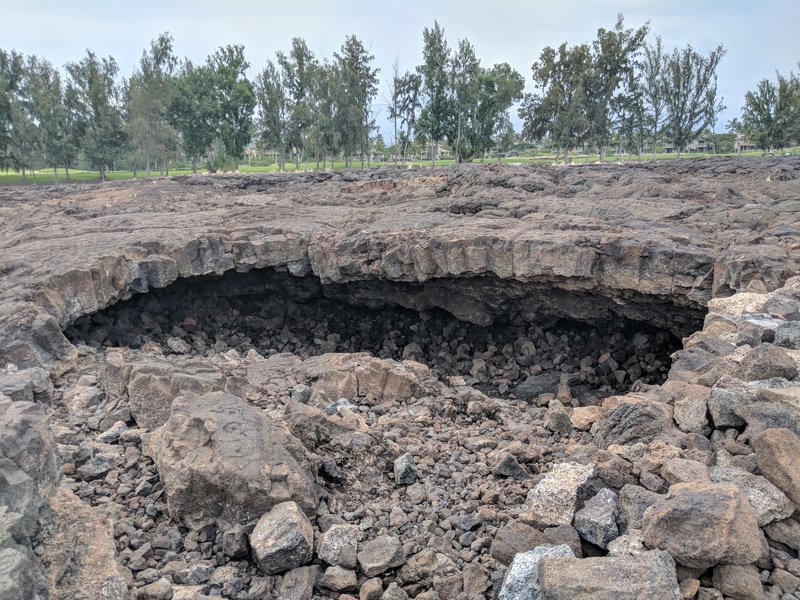 Because some had visited the site previously, and had photos for reference, it was possible to compare previous reconstruction efforts to the very recent reorganization. A tremendous amount more of this site has been exposed, and will become part of the interpretive trail (below). 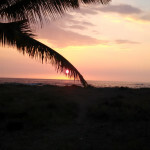 The site of Lapakahi includes community areas, specific use areas, and a training area for Kahuna. 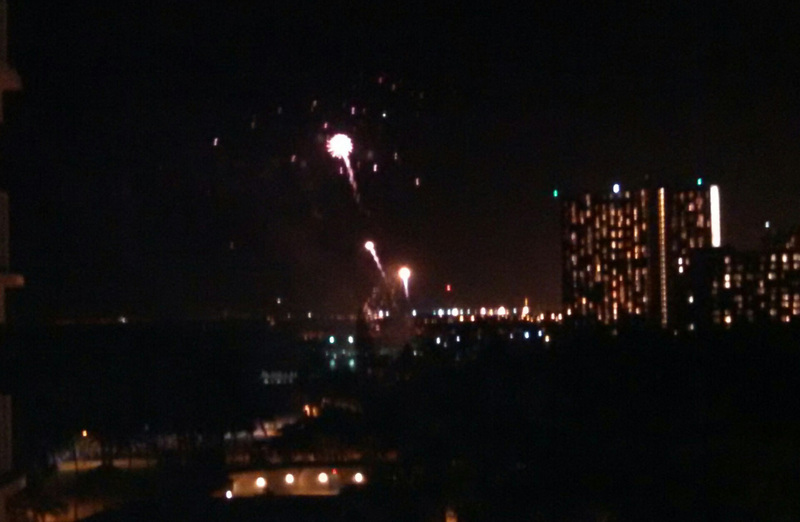 The site extends substantially beyond what is pictured here. 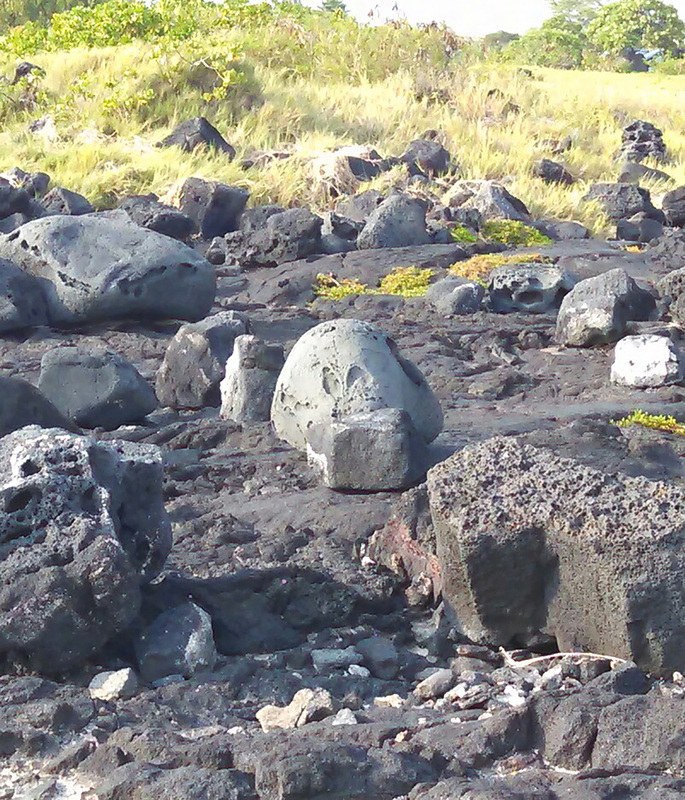 Large basalt basins were used to capture sea water for the extraction of salt. 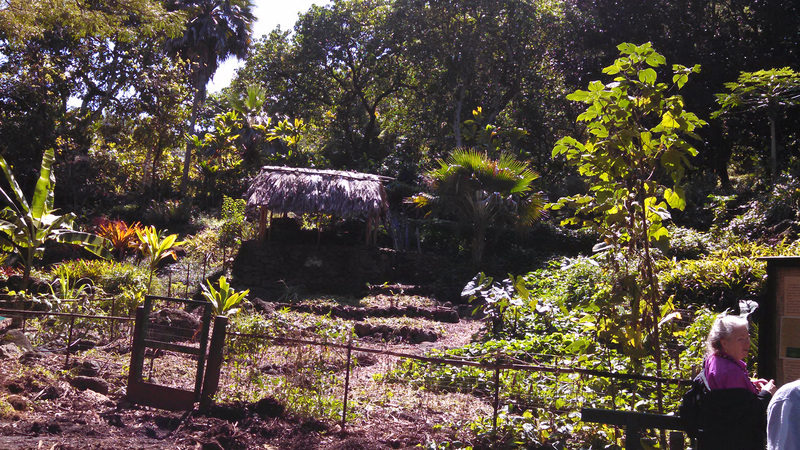 Other sites were also visited, good food was consumed, and island agriculture is thriving–even in unexpected places. 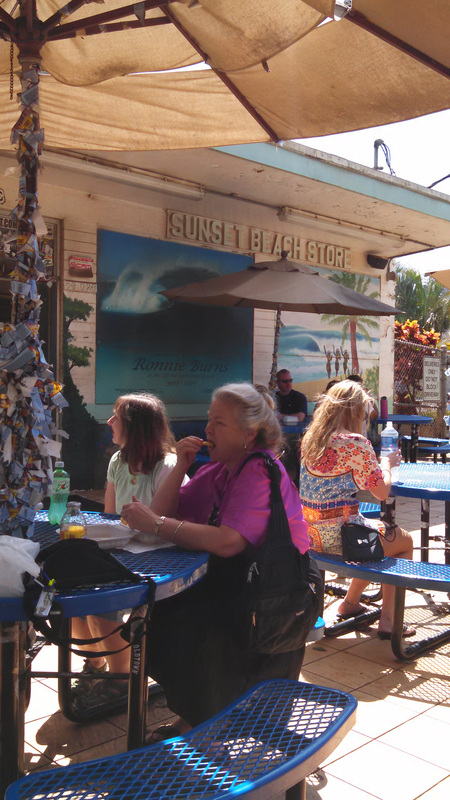 Guam has a Chamorro Village, as well as a park to feature some of the island’s Latte Stones. 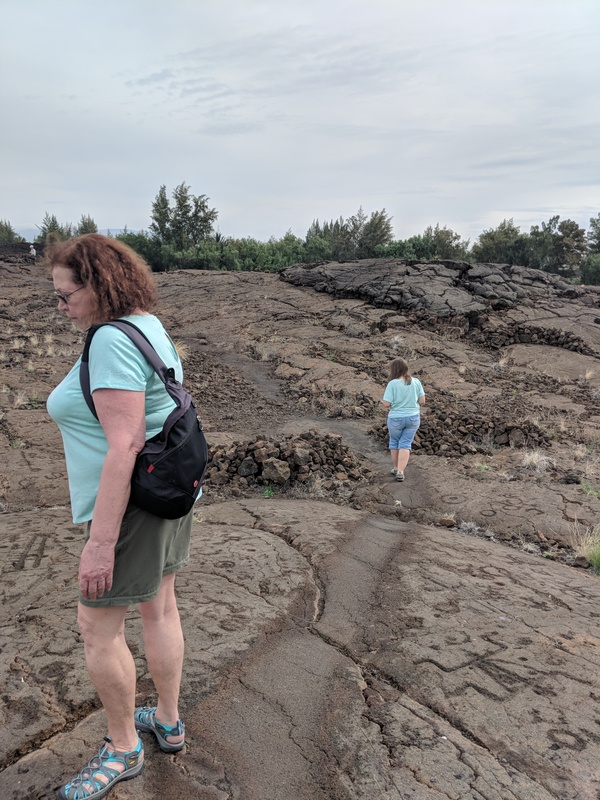 Both are accessible to visitors.This is an expansion of our previous travel archaeology classes, shifting our attention far eastward from the Hawaiian Islands. 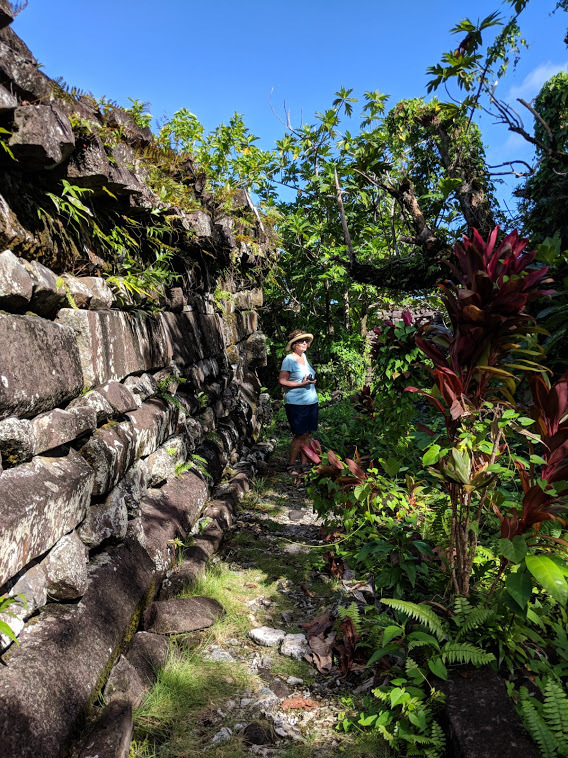 The focus of this project was to visit archaeological sites on both Guam and the island of Pohnpei, in the Pacific. Vast differences exist between these two islands, both culturally and archaeologically. 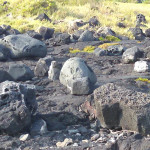 Interestingly, each island supports large prehistoric stone features that are unique, and that are still being investigated today. 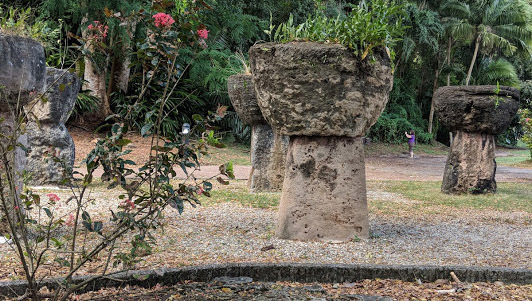 Guam has a Chamorro Village, as well as a park to feature some of the island’s Latte Stones. Both are accessible to visitors. 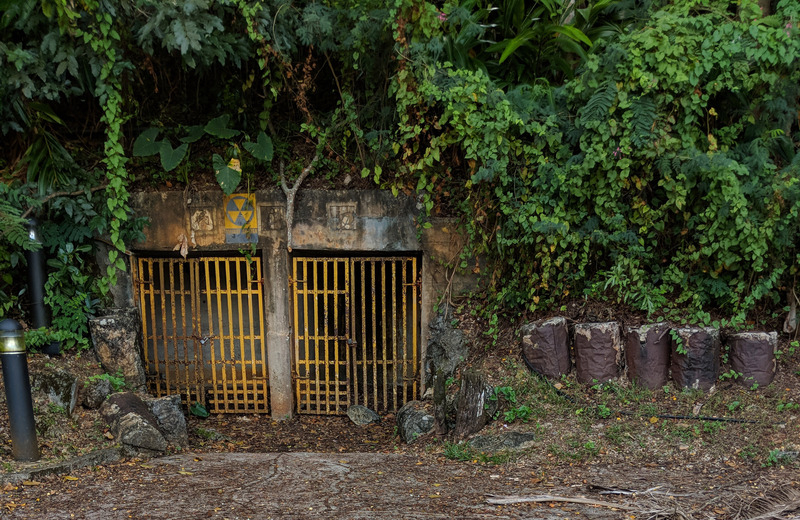 Japanese Caves from their occupation of Guam in World War II are also preserved. 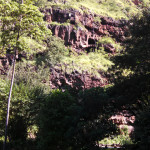 These caves are documented as having stored ammunition. 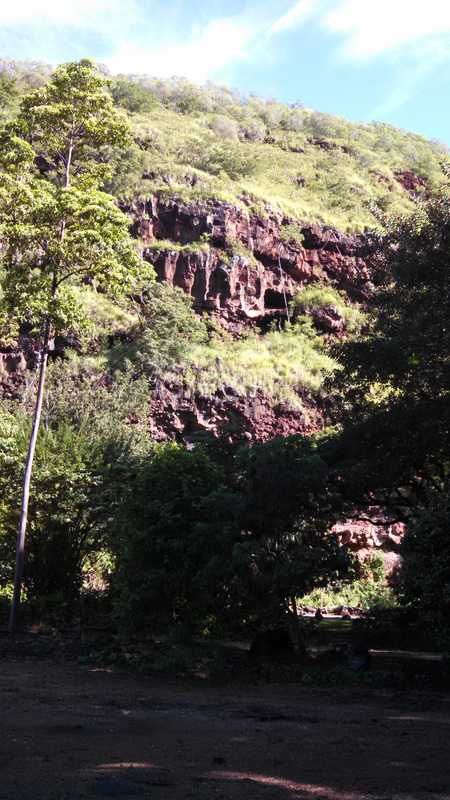 Some caves, however, housed Japanese soldiers until 28 years after the end of World War II. The remains of a Spanish Fort can be explored, with only occasional groups of school children sharing the site area. 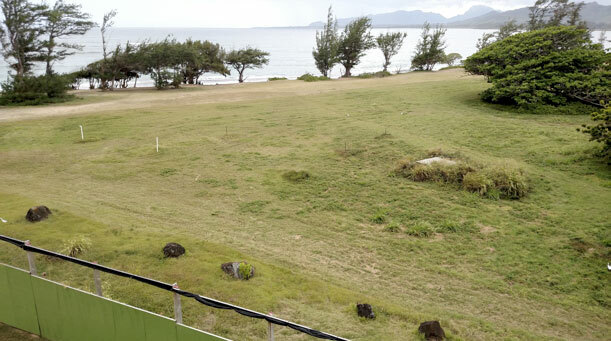 The Fort is accessed from the road that circles around Guam. A prehistoric use area has continued into modern times, with people still enjoying the sheltered water here. This onboard flight map illustrates the distance from North America’s west coast to Hawaii, and from Hawaii to Guam. 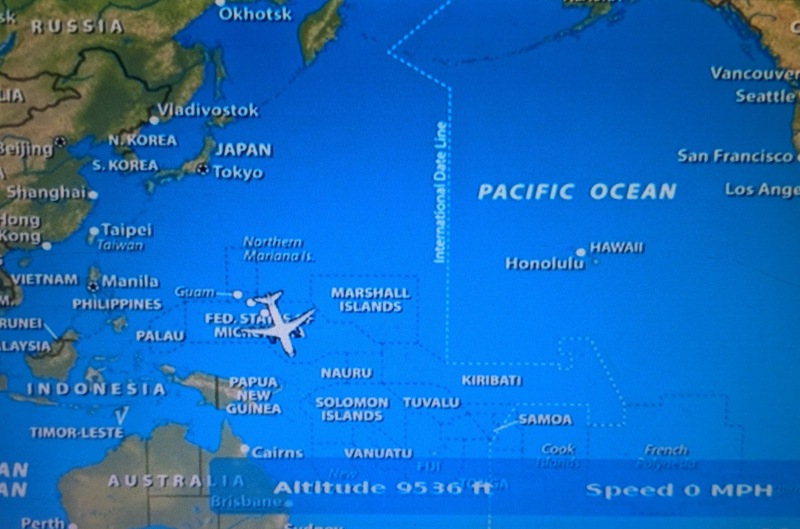 Pohnpei, part of the Federated States of Micronesia, is partially obscured by the image of the airplane. 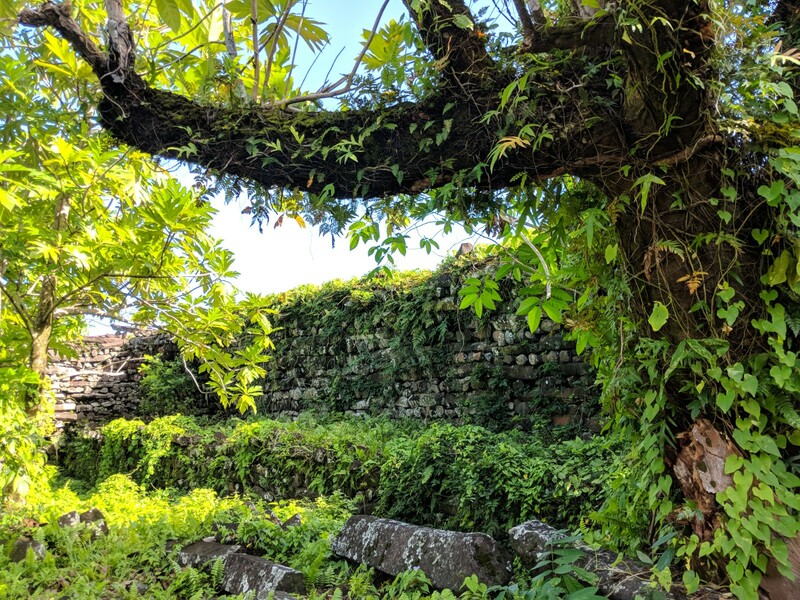 The ruins at Nan Madol make up a stunning archaeological complex. The site is composed of up to 98 man-made islets, separated by canals, which were also developed by ancient people. The structures are made primarily of columnar basalt. 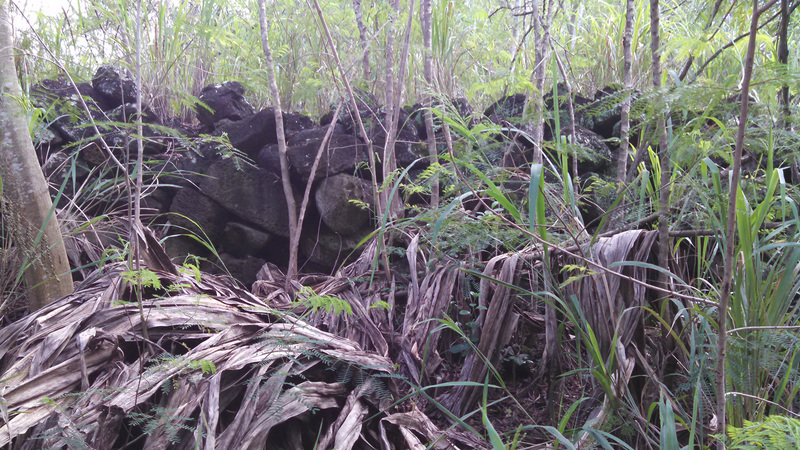 The walls of the structures are of varying heights, with this being one of the lower portions. The beauty and strength reflected at this site complex are stunning, and impressive. Access can be by boat at high tide, or by walking. To take the trail, first check with the Chief and pay the entrance fee. This will be the entrance from Temwen Island. 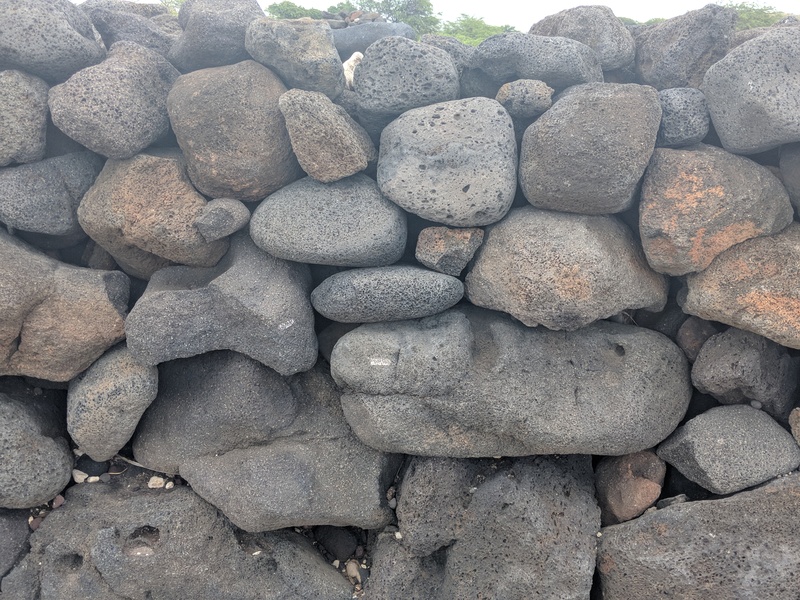 Impressive lengths of columnar basalt are stacked like a Lincoln log structure, forming enormous outer walls, as well as inner walled chambers. How the movement and onsite manipulation of these basalt columns was managed is still a question to be answered. 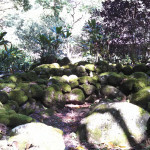 Within the town of Kolonia, an early historic Spanish Wall is now part of a Park. Visitors are welcome to explore all around it. 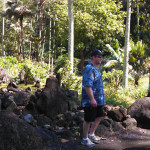 Kapingamarangi is actually an atoll, and a municipality, within the state of Pohnpei. 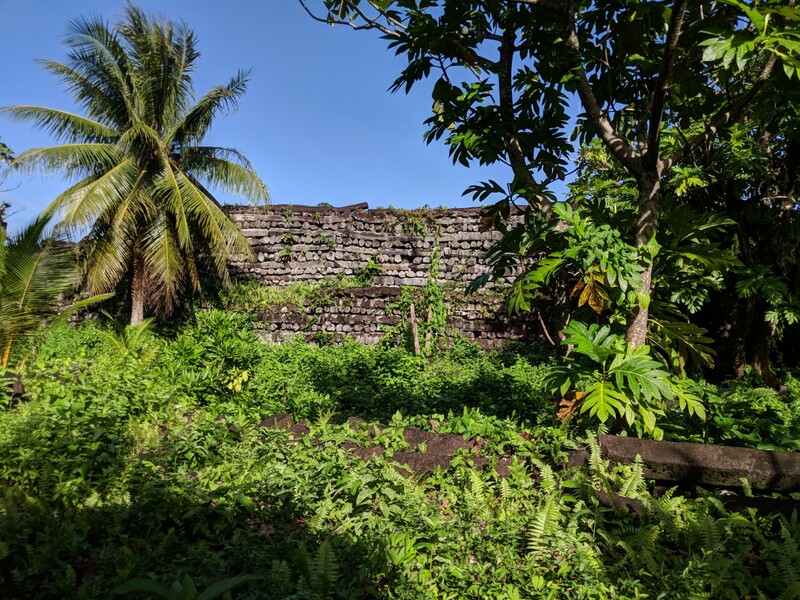 While the atoll has a population of approximately 500 people, as many as 300 have moved to the city of Kolonia, on Pohnpei. 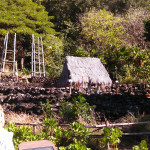 There, they have created a woodworker’s village, although many hand crafted items of other materials are also produced. Please contact I.A.S., through this website, for information on the next travel archaeology class. 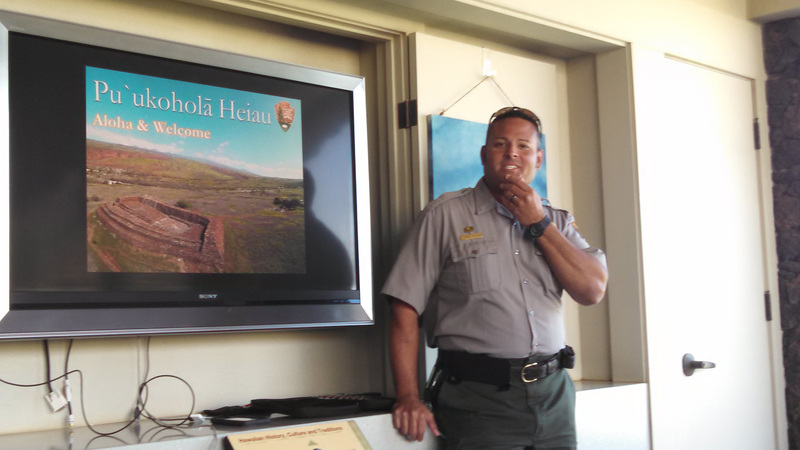 The first half of this travel archaeology class focused upon Big Island sites. 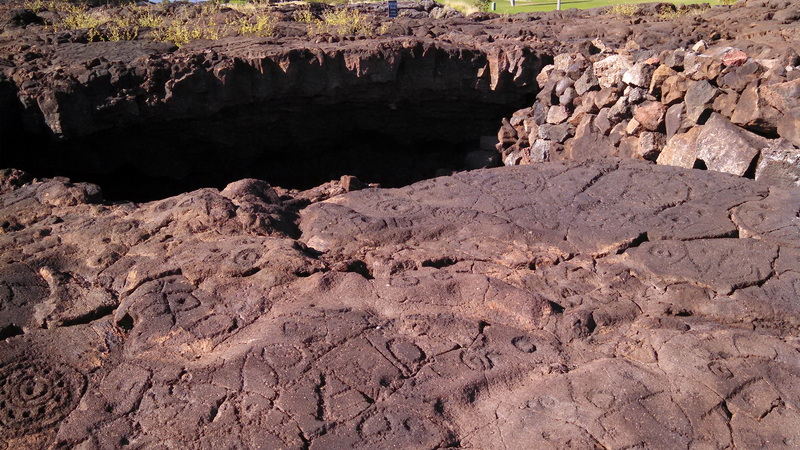 When tides were too high to document petroglyphs and other shoreline features, inland sites were visited. 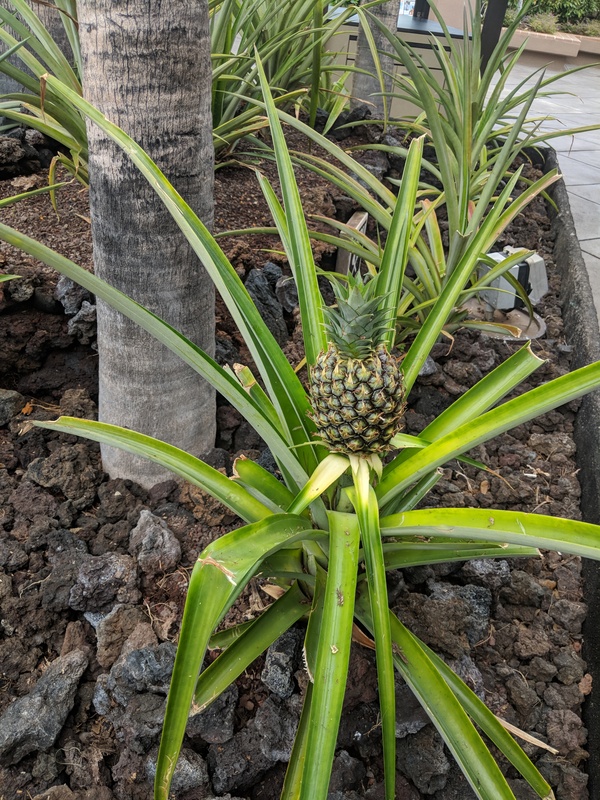 Discussions about political allegiances and trade with foreigners, at the interisland and international levels, figured prominently. 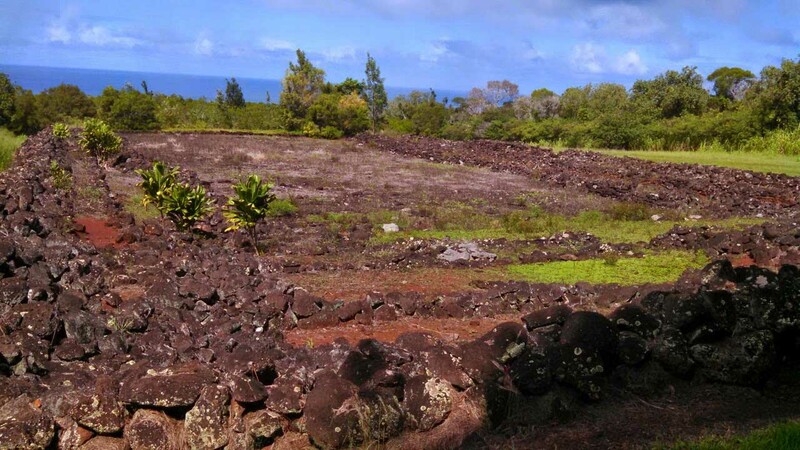 The importance of this southernmost island was highlighted, with in depth discussions of Captain Cook, King Kamehameha, and other history making individuals. The second part of the adventure began the next month. 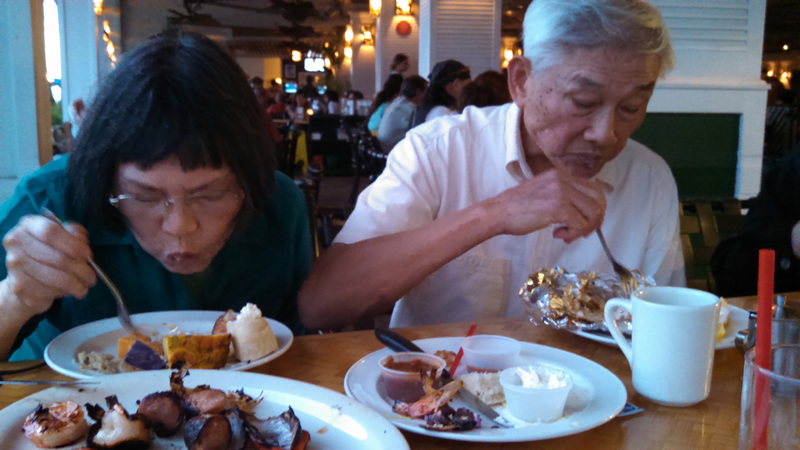 At that time, we visited the northern island of Kauai. Here, we concentrated on two areas of history. 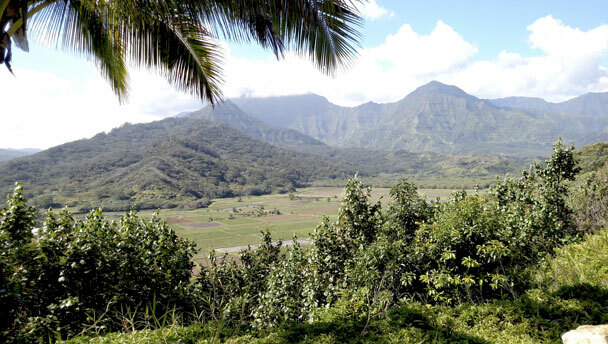 One was the geopolitical separation between Kauai and the other islands, and the other was the significance of a Russian presence on Kauai. 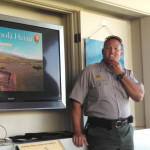 This included our exploring the remains of a Russian Fort, now being restored, and which overlooks Cook’s landing area. We also visited the ponds where salt is still collected. 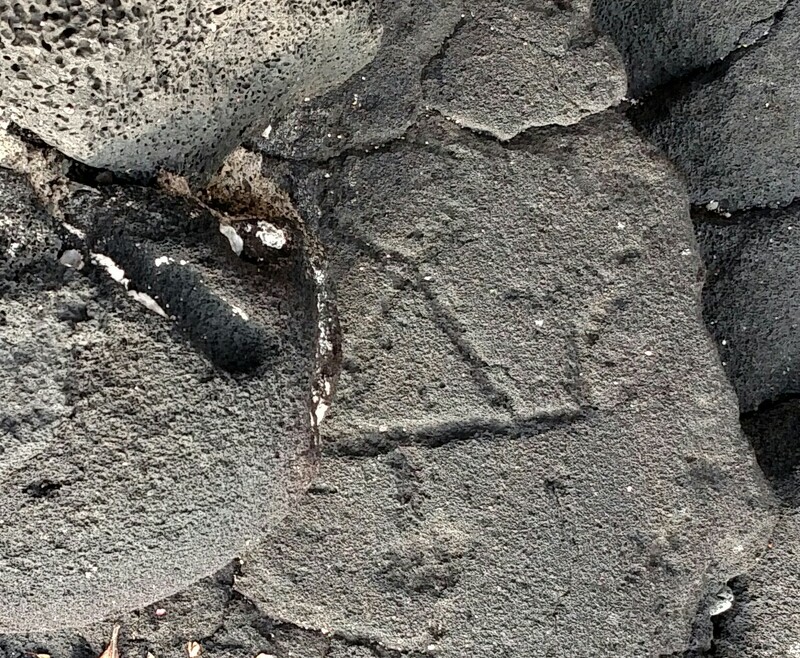 As salt was a necessary commodity during the fur trade, the economics of its production and the positioning of the Sandwich Islands were discussed. 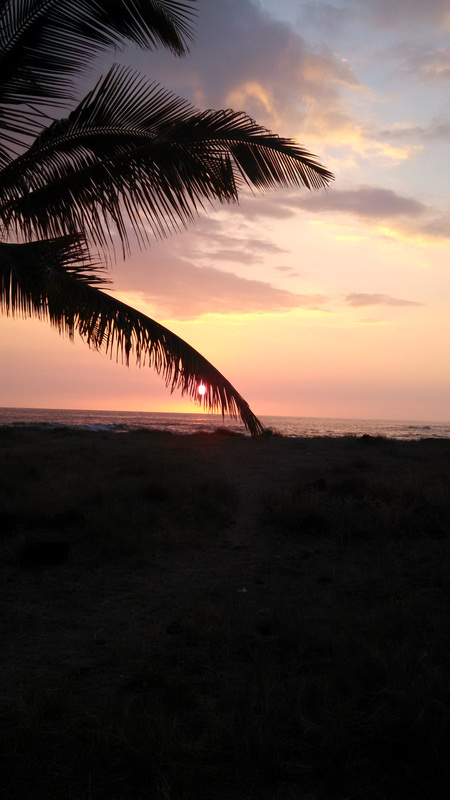 The story of how Cook’s records got into Russian hands, and the subsequent alliance between Kauai’s King Kaumuali’i and the Russians was explored. Site stewards invited our group to tour the inside of the fort area, including the steps leading to a view of Cook’s early landing area. 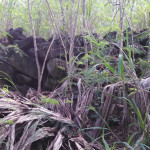 The star shaped fort walls are slowly being exposed by local volunteer groups who are removing the intrusive vegetation. 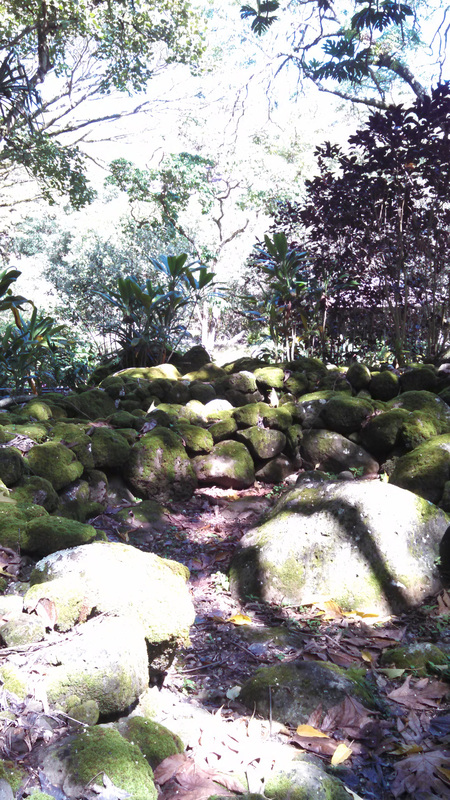 Within the walls of the fort are the remains of rock lined paths, that lead to officer’s quarters and other areas. Salt ponds that supplied people in prehistory also were utilized as an exchange commodity during the fur trade. When not being worked, the salt ponds appear as vast, shallow lakes. Taro fields are viewed from above, showing the different growing environments and staggered planting areas. A deep cavern that opens into several small caves was also visited. Within the recesses of the cave are rock art images. 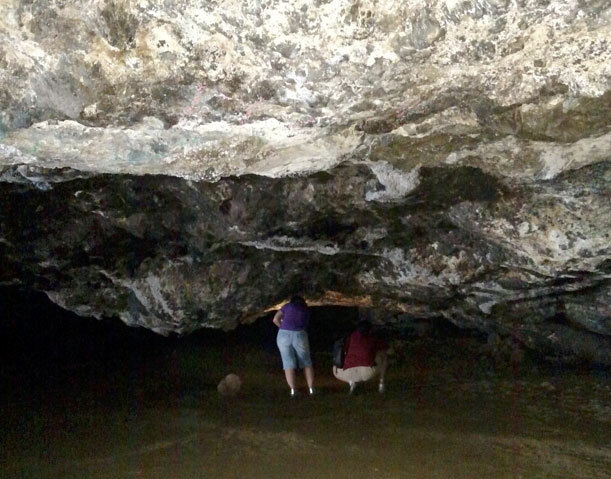 Since our visit several years ago, sand from storms has coated the cavern floor. Elevation is helpful in identifying some previous use areas, although distinguishing prehistoric from historic areas can be challenging. 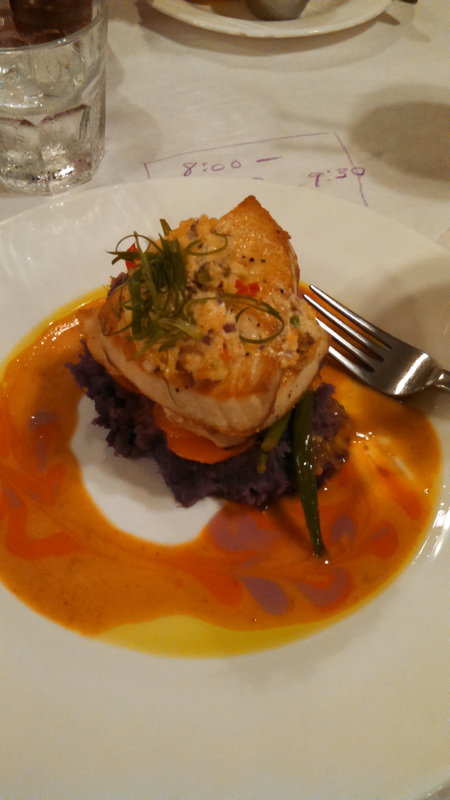 The trip ended with a birthday dinner celebration for one of the participants. Planning also began for the next travel archaeology class. There is a fascinating site area 30 miles south of Portland. It is ancient, far more than 10,000 years old. Contained within it is amazing evidence of times’ past. This resource is a record of the occupants of the Willamette Valley, from 15,500 to 10,500. 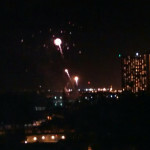 It is also a record of dramatic environmental change. Thought provoking is an understatement! Many giant animals, termed megafauna, lived at Woodburn during the last Ice Age. 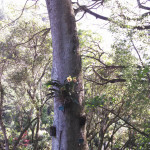 The remains of these four species have been documented at this site. 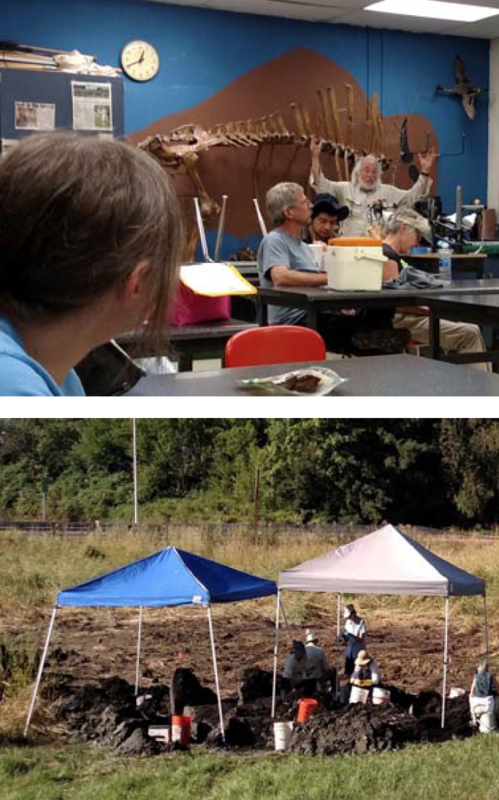 In July and in August, a limited number of Oregon Archaeology Society members will join IAS staff, in an opportunity to trowel through the soils of two known paleontological sites. From July 10-15, and from August 14-20, we will be exploring two different site areas. 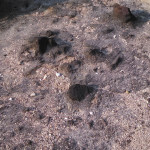 Both sites are in a locale known to contain numerous extinct, huge animals (figure 1). 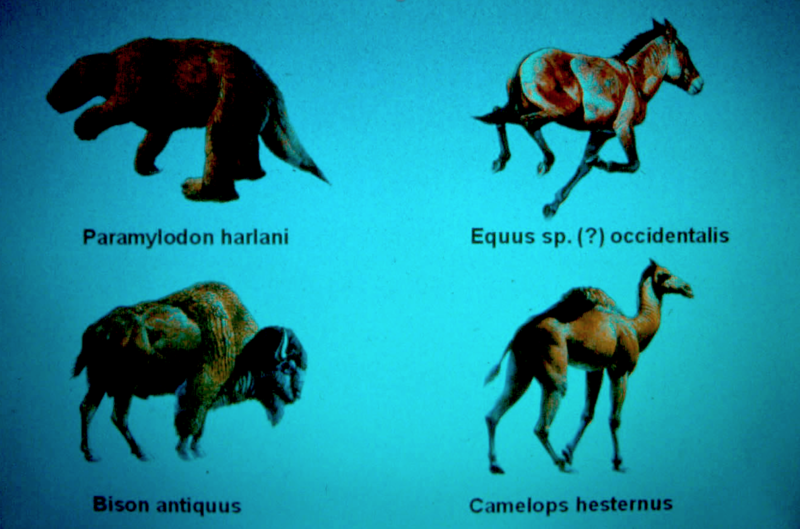 These include the giant bison (Bison antiquus), giant ground sloth (Paramylodon harlani), western horse (Equus occidentalis), and western camel (Camelops hesternus). Some predator species in the area include the Pleistocene bear that became the black bear (Ursus americanus), dire wolf (Canis dirus), coyote (Canis latrans), and a huge predator bird with a 12’-14’ wingspan (Teratornis woodburnensis). Also at this site are the remains of extant species, including rabbit, muskrat, beaver, gopher, turtle, snake, deer, elk, and five other species of bird. 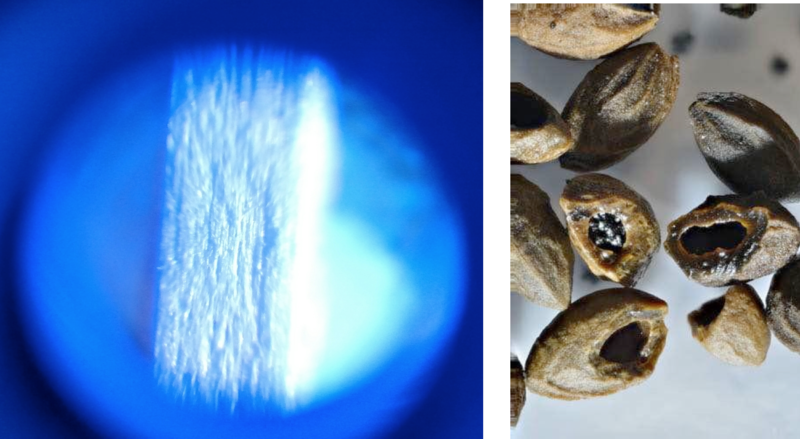 Microscopic inspection of wood (L) helps to identify species, and the magnification of seeds (R) helps to speciate and to look for gnawing marks. Cherry seed photo provided by David Ellingson. While the recovery of animal bone, mammalian hair, and the occasional lost cultural item are not frequent, nearly everyone recovers something. 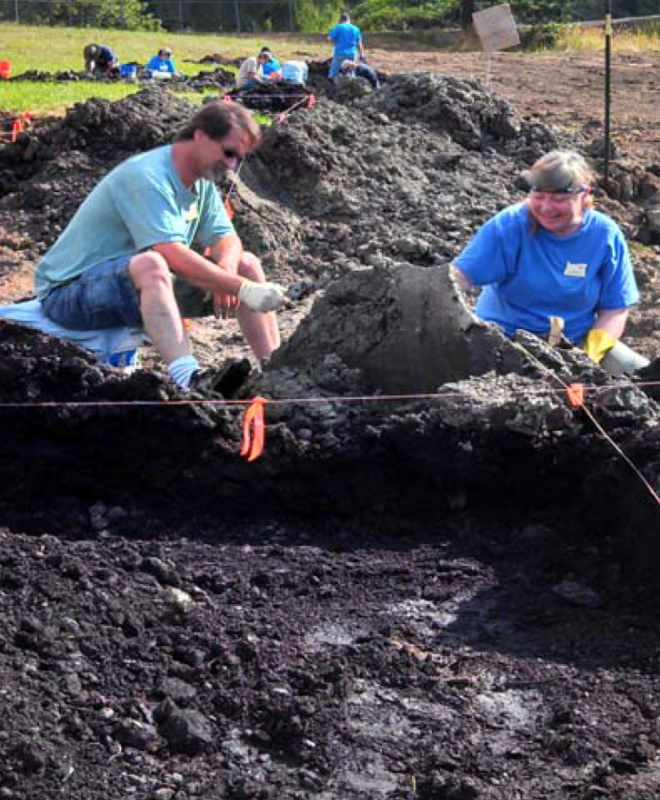 After troweling through blocks of ancient soils, volunteers water screen the sediments. This allows us to find specimens that were previously hidden within clumps of soil. Some recovered items are then examined microscopically, helping us to better identify each object (figure 2). The different layers, or strata, reflect the many different ecosystems that have existed here over the last 16 millennia. Clearly seen are an ancient forest, stratified peat bogs, loamy soil interludes, and flood silts. Every year, volunteers are stunned by the dramatic changes that have occurred within a single place on the landscape, and by the preservation of even small seeds and ancient leaves. Every stratum, or layer of soil, has a different color and consistency, which can be easily recognized. 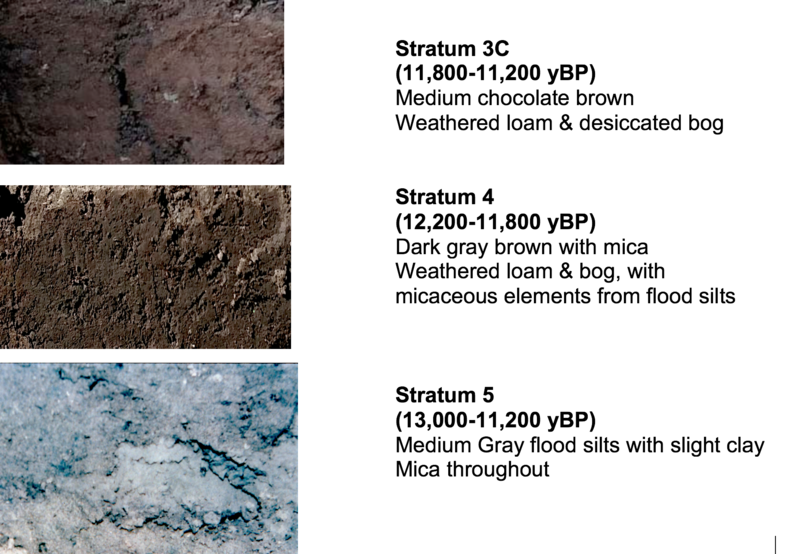 Every stratum, or layer of soil, has a different color and consistency, which can be easily recognized (figure 3). The characteristics of each stratum have been documented, and each stratum has been dated. 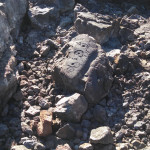 Thus, when volunteers excavate the blocks of sediments, the approximate age of recovered specimens is immediately known by the stratum from which items emerge. Beyond the actual recovery, it is simply exciting to be examining the soils as they existed more than 11,500 years ago. OAS members won’t have to travel far from home, as we will again be at Woodburn. If you are interested in being one of the 8-10 OAS volunteers, please contact Alison Stenger, of the Institute for Archaeological Studies. Email alisonstenger@comcast.net, or call 503-292-5862. 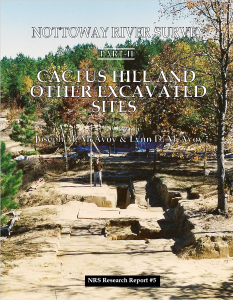 Be sure to check the Institute for Archaeological Studies website for a list of what to bring, and also to see pictures of past projects. This is a wonderful opportunity to learn archaeological methods while investigating a paleontological site. All tools, training, and laboratory supplies will be provided, but please bring a pair of clean kitchen (rubber) gloves. There is no fee, although a voluntary $20.00 donation is appreciated, to help offset expenses. Start dates for newcomers will be a day later than for people with experience at these sites. Thus, those new to the Woodburn projects will start July 11 or August 15. 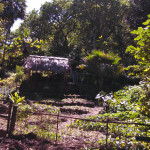 This will give experienced personnel an opportunity to get the area prepared and ready for new volunteers. Those previously involved should, if possible, plan to help with site preparation on July 10 or August 14. 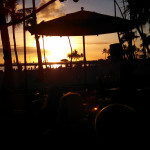 Hawaii is known to have cultural sites from the shoreline to the mountain peaks. 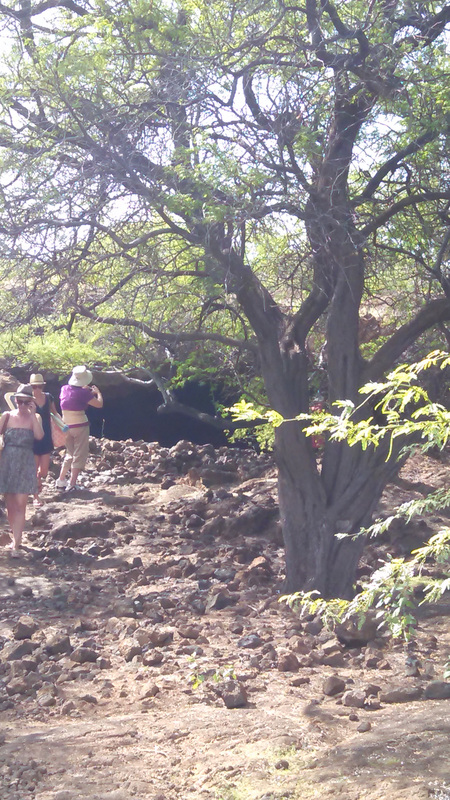 These include ancient village remains, ceremonial structures, water catchment areas, petroglyphs, and fish traps. 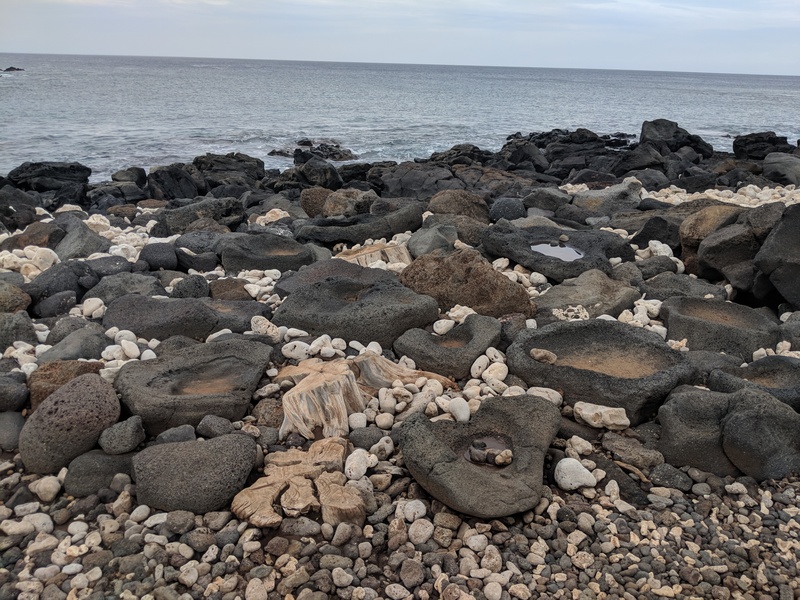 But many resources along the shoreline are not yet recorded, and this is especially true of petroglyphs and other rock features. Many sites near the ocean provide some sort of catchment. Sometimes salt is desired, and sometimes fish or turtles are the focus. Water is often trapped in depressions for salt, or in stacked rock enclosures for marine animals. 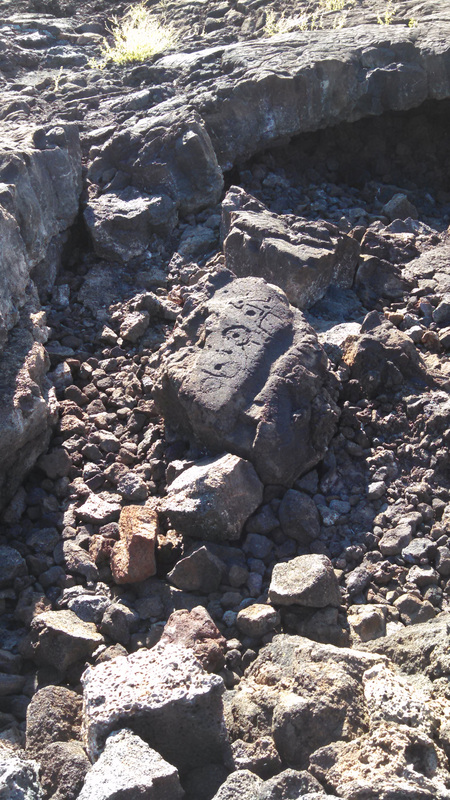 Many different forces, from land movement to invasive grasses, put rock art images at risk. The abrasion of sand, too, can erode the images. 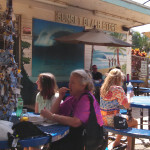 These cultural features need to be located by GPS, and documented by photographs. Because many of these cultural resources are fragile, they need to be identified without putting them at risk. 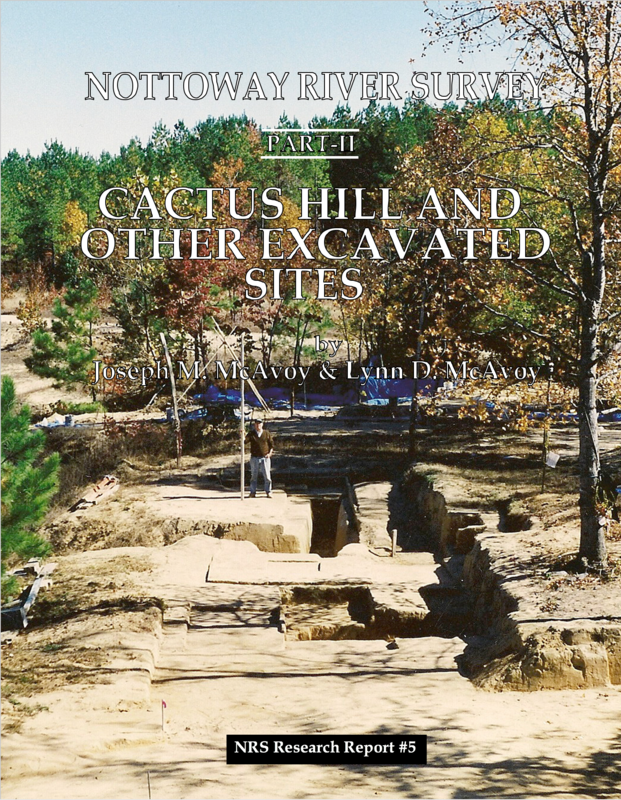 A professional archaeologist will lead this group effort, and also provide information about inland sites. 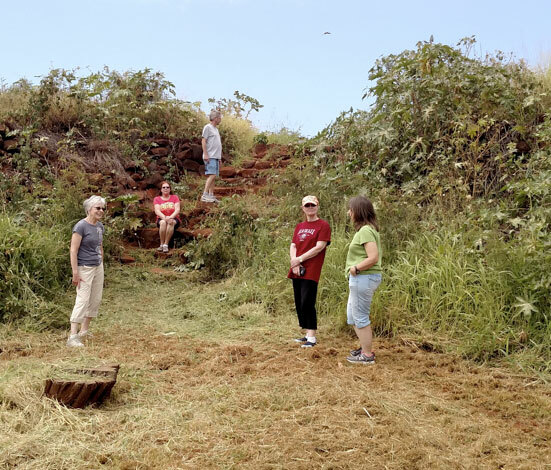 Oregon Archaeological Society members, with their training and sensitivity to archaeological sites, are the perfect project volunteers for this project. The results of all shoreline documentation will be given to the Department of Land and Natural Resources, and to the State Historic Preservation Office. Shoreline resources include ceremonial sites, aquaculture ponds, and canoe access areas. 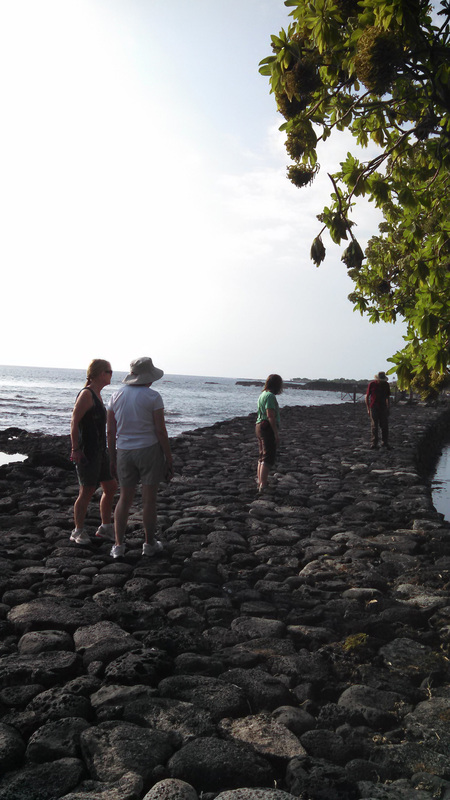 Participants will be introduced to a variety of archaeological sites, when not documenting shoreline observations. 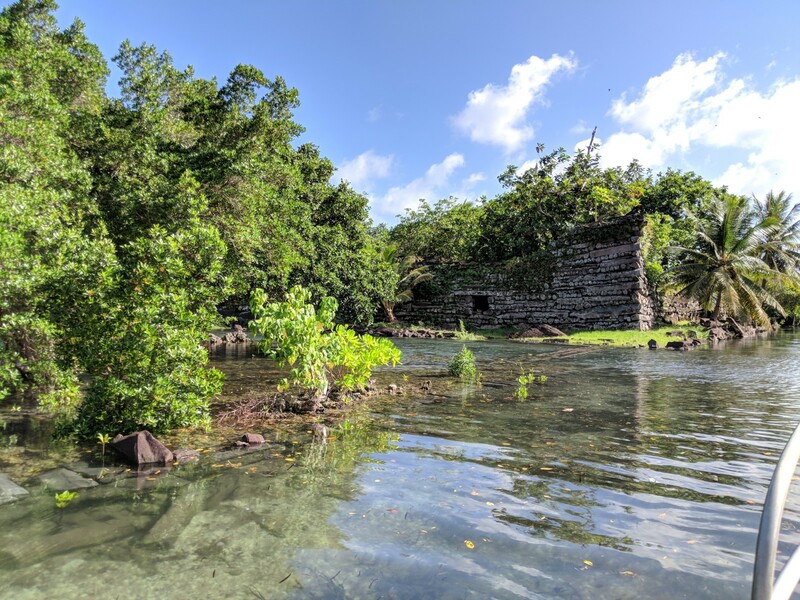 We plan to visit a partially reconstructed village, aquaculture sites with three different types of aquatic environments, ceremonial sites, and at least one historic site. 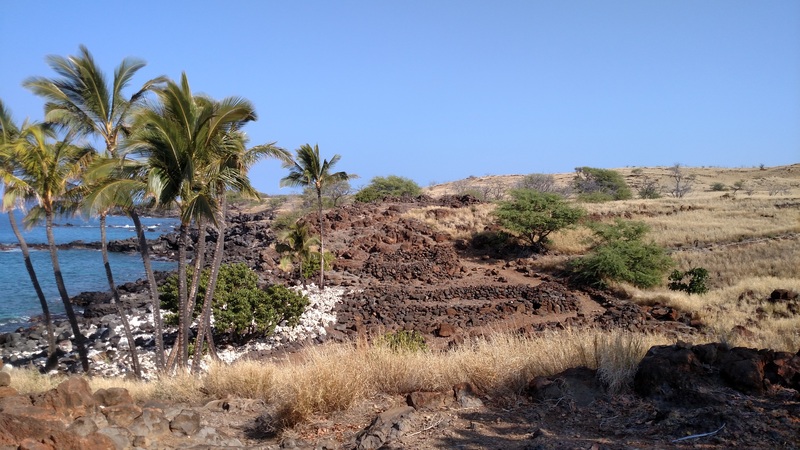 This adventure in Hawaii will occur February 16-21, 2017, and is offered through the Institute for Archaeological Studies. For travel details, please contact Deanna Levinson of World Travel, dea@wtpdx.com , or phone 971-404-0338. 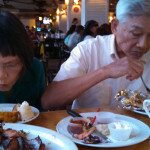 The estimated cost for shared hotel, rental car, and airfare is $1,825.00. 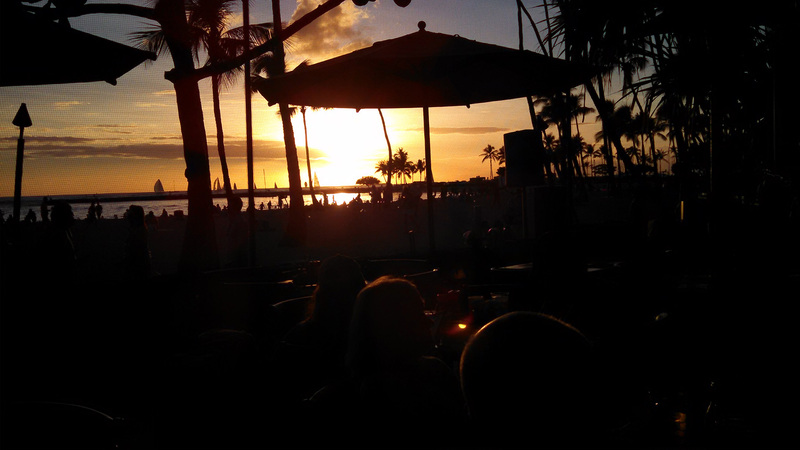 Travel miles may be used to offset the cost of the flight. The Woodburn paleoarchaeological project began in 1995. 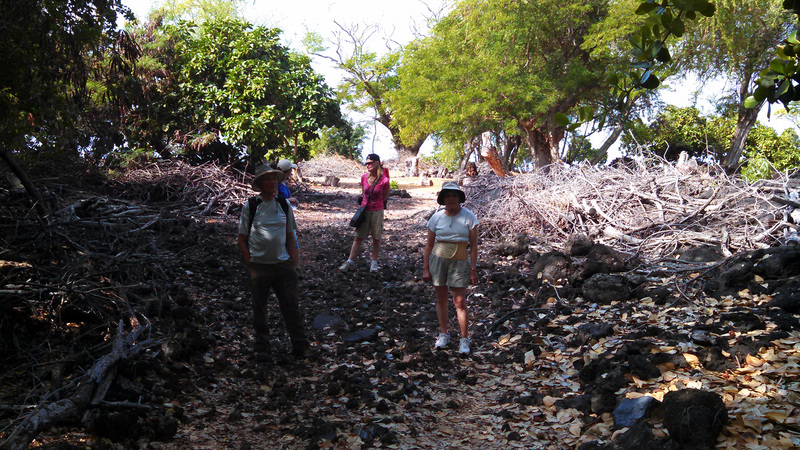 Even today, the intent of our work is to investigate paleontological sites from an archaeological perspective. 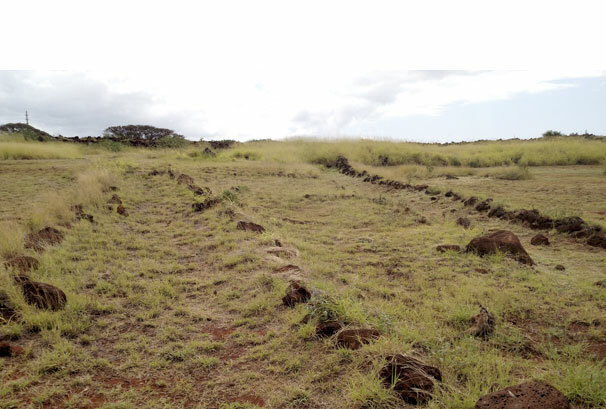 In other words, we are exploring ancient plant and animal sites, while employing the methods that need to be used in sites containing archaeological material. Figure 1 (Right): OAS members working at a real paleontological site, honing their skill sets, and still having fun. Happily, some of these areas do have it all, from plants and animals to naturally shed human hair. But there is another wonderful aspect to these projects. It is almost impossible to hurt anything. 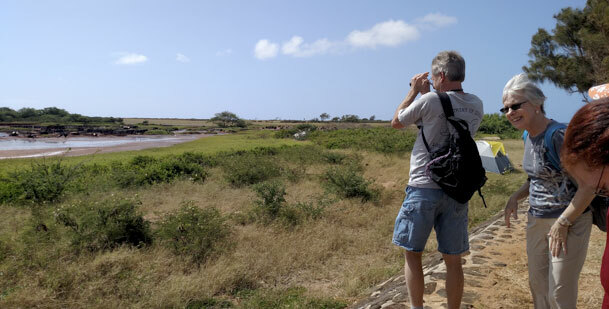 Whether volunteers are working on troweling techniques or documentation skills, these field opportunities provide a great environment in which to do this, and people manage to have fun in the process (Figure 1). When we excavate sites such as these, which are contained far below the surface, we bring in commercial excavating equipment. Figure 2 (Above): Each stratum has a distinct color, texture, and age. Any specimen removed from one of these layers can thus be assigned an approximate date. Figure 3. After troweling, sediments are processed with water (Left). This allows us to recover very small specimens (Right). The bone shown here is the partial mandible to a very small 12,000 year old minnow, about 1” (2.54 cm) in length. 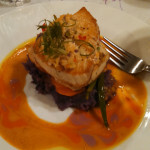 Fish photo provided by Joe Cantrell. This makes our field time much easier and safer. The more recent soils are mechanically stripped off and placed to one side. 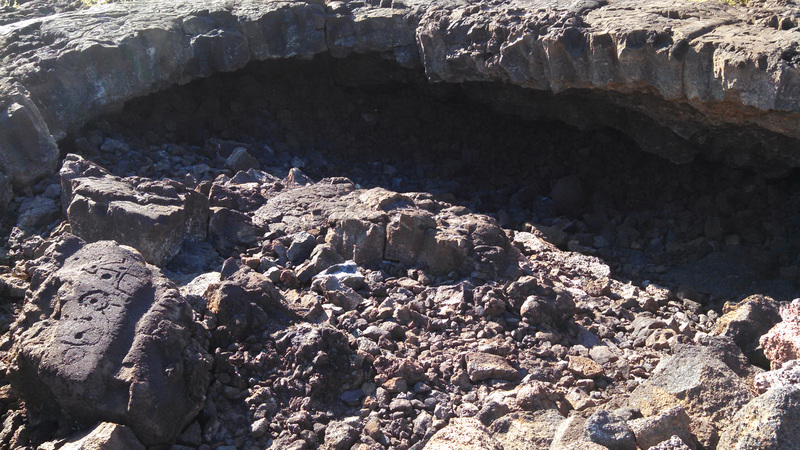 The older sediments are then removed, and placed apart from the recent layers. 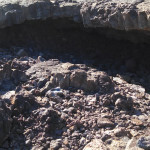 Then, before we begin inspecting the older deposits, the newer material is looked at and then put back in the trenches. This makes the trench area much more stable. Figure 4 (Left): Each independent layer of soil has its own characteristics, from color and texture to age. Our focus is upon the late Pleistocene (Ice Age) to the early Holocene (modern epoch) sediments and their contents. The job of volunteers is to trowel through the soils, looking primarily for ancient animals and hints of a human presence. Each soil type has its own color, texture, age, and depositional history. Thus, people know something about these distinct strata when they first start troweling (Figure 2). Because we have already documented the age of each stratum, or layer, we know the approximate date for anything that is uncovered, based upon the sediments from which the item emerges. 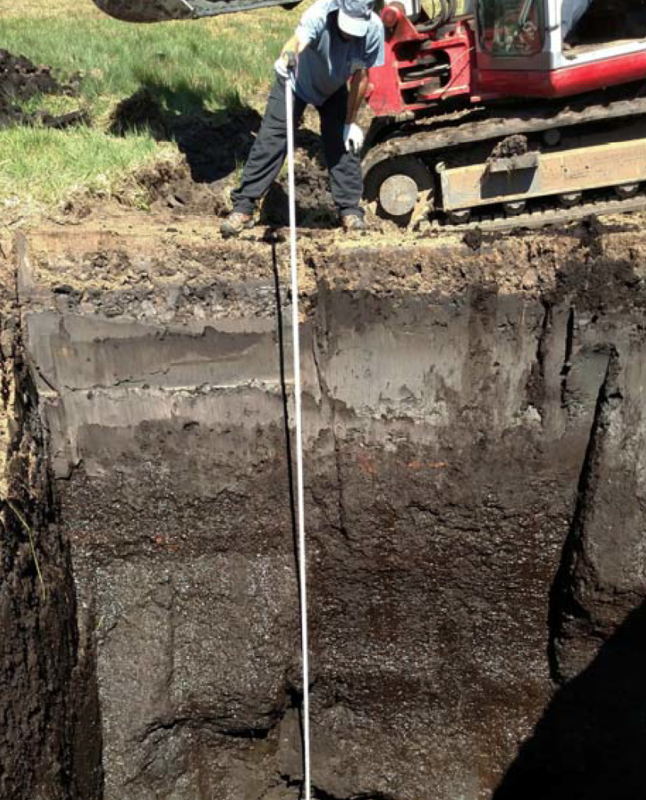 Once the soils are inspected initially, they are moved to the water screening table for further investigation (Figure 3). This is where our recovery of microfauna (tiny bones) increases tremendously. Thanks to the North American Research Group (NARG), specialized screening stations have been developed to aid in our recovery of these very small specimens. 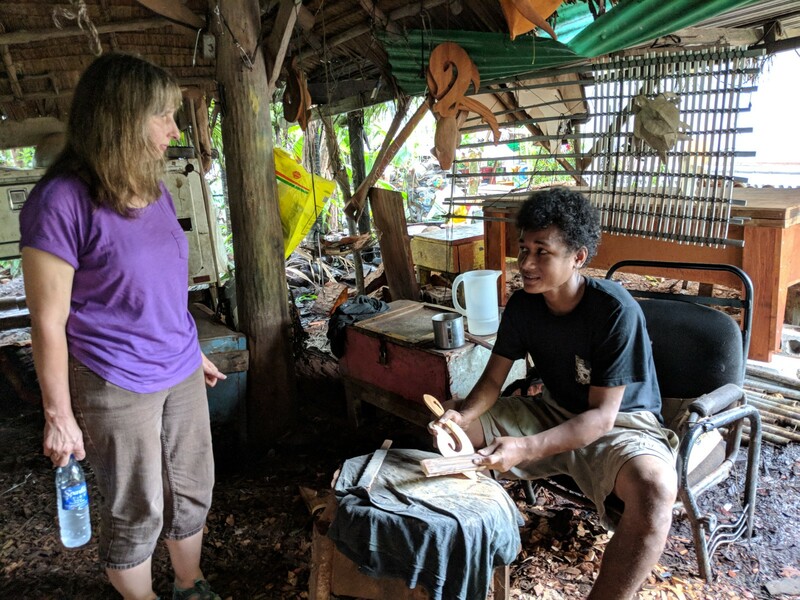 New OAS volunteers, working with NARG and other experienced field people, learn about water screening, as well as about minerals and other interesting parts of the natural world—what we oldies call natural history, of course. The sites in Woodburn are particularly compelling. With their consistent stratigraphic sequences (layering of sediments), the depositional history of the last 16,000 years is available for us to inspect (Figure 4). The environment that changed so significantly over time, from bog to forest, is clearly portrayed. Because of this, we are often joined by other archaeologists, geologists, paleontologists, and botanists. Specialists from natural history museums, and from some tribal groups, also venture here when we are working, and they often share their expertise with us. This gets especially interesting, when we journey with them to one of the specimen repositories and see what else has emerged from the sediments during our years of working here (Figure 5). Figure 5 (Right): Specialists from many disciplines, including some tribal groups, share their expertise with us. This is true in the field and during lunch breaks, making our days at work very special. To date, we have recovered the remains of over a dozen species of extinct Ice Age fauna (animals), as well as the remains of animal species that still exist today. The animals range in size from huge to tiny! The list includes giant bison, Pleistocene bear, mammoth, mastodon, ancient species of horse and camel, dire wolf, and giant ground sloth. Deer and elk, of the type that exist to this day, are also represented in the Ice Age deposits, along with coyote. Sometimes we see the animals represented by their skeletal remains, and sometimes by their teeth. A lot of bird material is also evidenced, from extant species of ducks and geese to a giant predator bird called a teratorn that is long extinct. We also have mink, muskrat, squirrels, gopher, turtle, fish, frog, rattlesnake, and snails represented. Occasionally, too, we see flaked stone or cut animal bone, and naturally shed hair. Some of the hair is human, and some is from animals. There is never very much, but it is enough to keep us investigating. The sediment layers change dramatically and quickly, over the fifteen hundred years that represent the ending of the Pleistocene. From the time before the very last Missoula Flood affected the Valley, just over 12,300 years ago, until the Pleistocene’s end at 10,800 years ago, we see four stunning changes in the environment. Then, after the ending of the Ice Age, we see another three very different ecosystems represented. 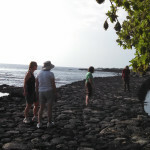 Thus, in total, our volunteers experience seven different ecologies. Their job for much of the project is to focus upon the oldest four. 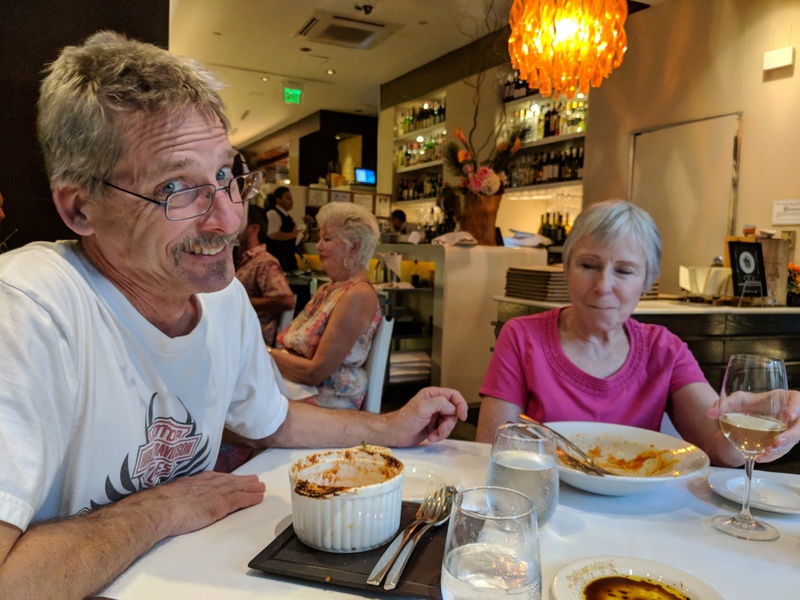 One of the many fascinating things about this long term project is that the presence of Pleistocene animals and Ice Age humans terminates with the transition into the Holocene. At 10,800 years ago, these valley inhabitants completely drop out of the stratigraphic record. The early post-Ice Age here is archaeologically and paleontologically sterile. From our field work, we know that preservation is not the cause of this sudden absence of these population groups. The early Holocene sediments reflect the same neutral pH level as the layers from over 11,000 years ago. 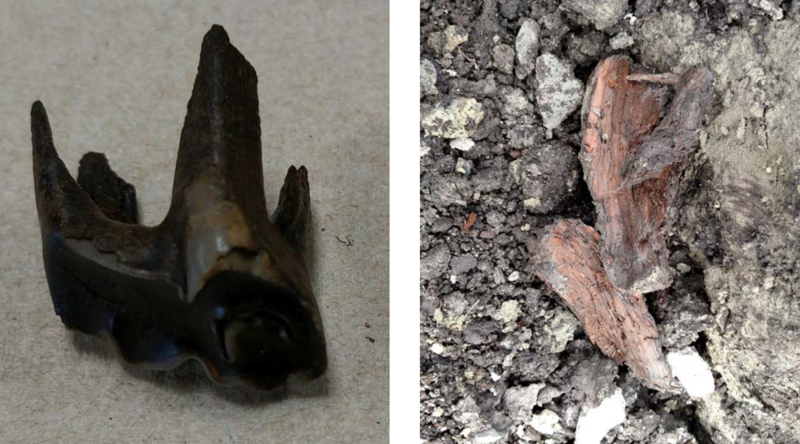 Therefore, as wood and teeth from the Pleistocene are remarkably well preserved (Figure 6), the same level of preservation should be reflected in the more recent sediments. This expectation is clearly supported by the early Holocene botanical materials that are excavated. But, animals and any evidence of a human presence have disappeared. Figure 6. 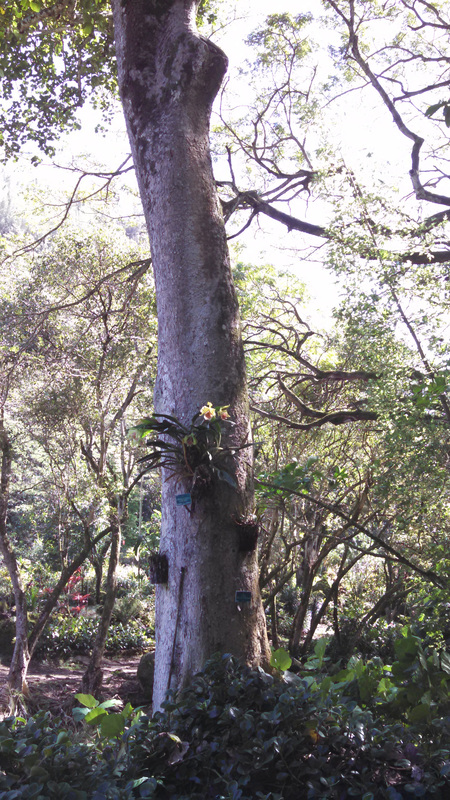 Even after being left out in the sun for a week, wood is still remarkably preserved (Right). Teeth, too, come out of the Pleistocene sediments in an excellent state of preservation (Left). What happened to cause this change, leaving the valley floor remarkably barren? That question is part of what keeps us coming back.